My friend Roger told a story that caused all his listeners to sit up and listen. I have never forgotten it. One fall day Roger drove through a neighborhood with lots of trees. 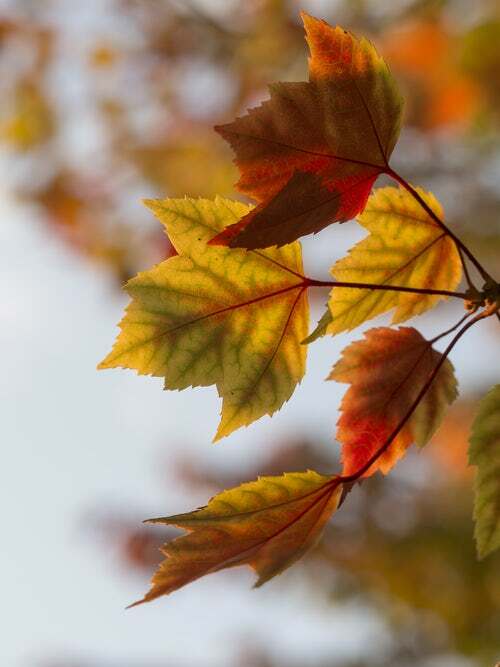 Leaves fell steadily from the branches and colored people’s lawns with splashes of orange, red and gold. Many homeowners had raked or blown their leaves to the edge of the street. Specially designed trucks made regular trips through neighborhoods and sucked up the leaves. In front of one house Roger noted a long row of piled leaves. He considered driving through them and enjoying the swirling mass of color rising behind his car. But at the last minute, he decided against it. He glanced in his rear view mirror after passing those leaves. As he looked, he saw two small children pop up, hands raised, scattering the crunchy leaves. The sight made Roger sick. How close he had come to destroying the lives of two little children. I tell this story every fall. Resist the urge to drive through piles of leaves. Remind people you know to do the same. Previous PostMESSY: A PHOTO ESSAYNext PostWHO SAID THAT? Oh my!! That made me feel sick just reading that! Thank you for spreading the warning. Some of your best work. Many feel that retelling someone elese’s story is easy. But they’re wrong. Oh wow…my stomach just turned over! Excellent words of caution and advice!! Thank God your friend paid attention to that last minute decision! (God at work?) God Bless! I know. Sometimes I want to quit driving altogether. Yes. Be aware! Children are everywhere! Here is the story of an UPS driver who experienced the same thing. He is using this photo to train other drivers. It is certainly a scary thought to think of how close a person can come to experiencing such a tragedy. Terri, a picture is worth a thousand words! !